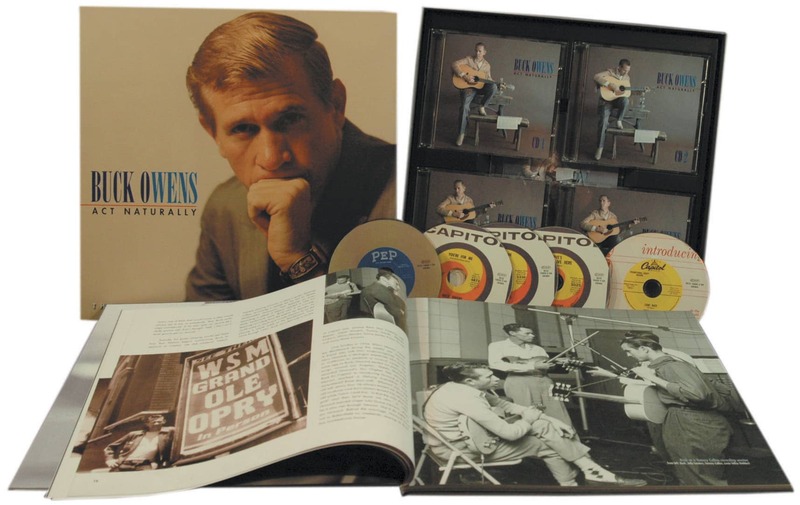 5-CD Boxed Set (LP-size) with 84-page hardcover book, 159 tracks. Total playing time: 383 mns. One of the all-time Country Music Hall of Fame greats finally gets the Bear Family treatment! 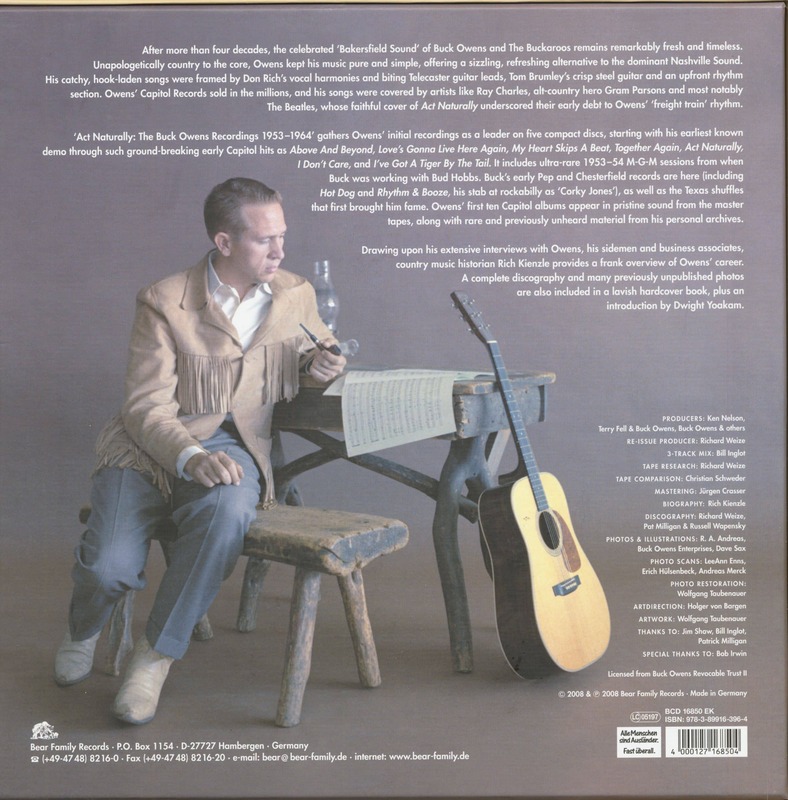 'The birth of the legendary Bakersfield Sound! 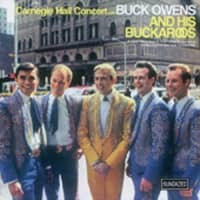 'Includes Buck Owens' complete(!) recordings 1953-1964. Demos, singles, LPs, unreleased songs! All his history-making hits: Under Your Spell Again, Above And Beyond, Act Naturally, Love's Gonna Live Here and many, many more- plus the rarities that only Bear Family uncovers! 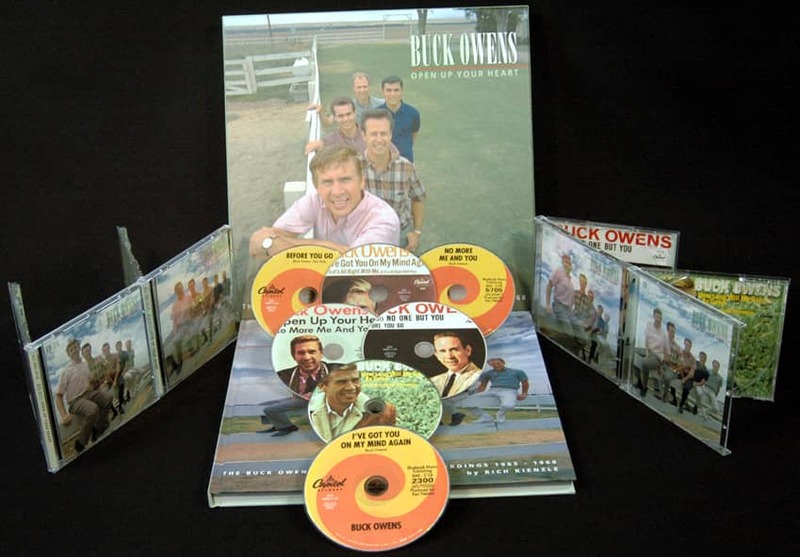 Includes ultra-rare sessions featuring Buck Owens as a session musician in 1953-54! Two unreleased performances and 12 alternate takes! Guitar fans will want to hear legendary Don Rich evolve into one of the greatest Telecaster twangmeisters of all time! 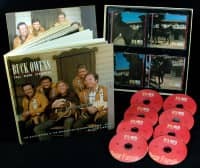 Includes Don Rich's solo items recorded for Buck Owens' albums. 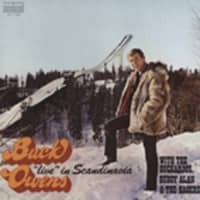 Hear Buck Owens and the band in session with legendary producer Ken Nelson! Bonnie Owens and Red Simpson. Gram Parsons, the Beatles, the Desert Rose Band, John Fogerty, Emmylou Harris, Dwight Yoakam, Keith Whitley, the Derailers, Trace Adkins, Garth Brooks and Brad Paisley all drank deeply from Buck Owens' rhinestoned chalice. 15 Why Don't My Mommy Stay With My Daddy And Me? 23 Ain't It Amazing Gracie? 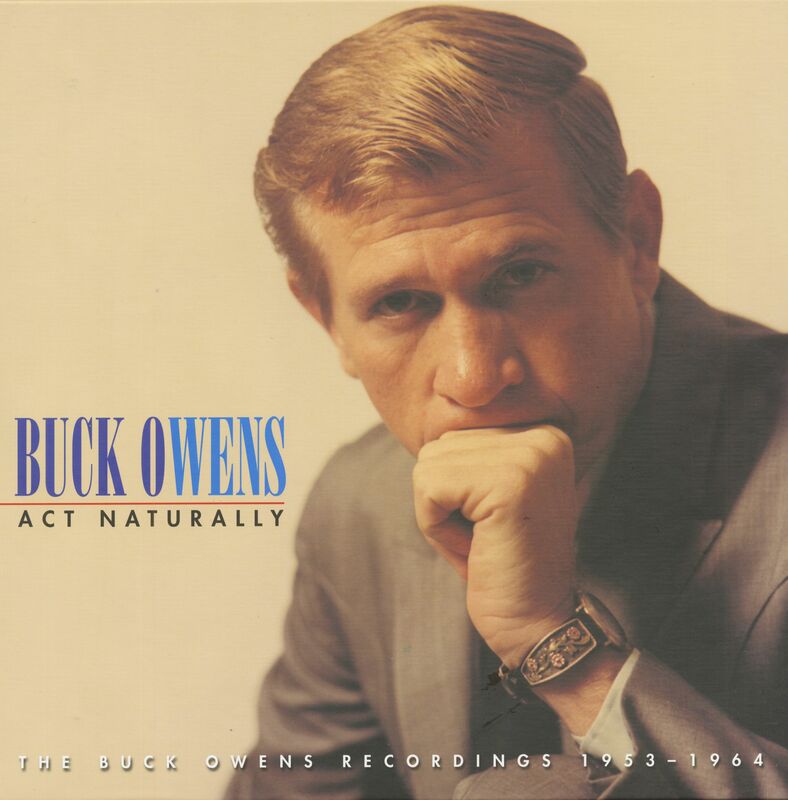 Customer evaluation for "Act Naturally (5-CD)"
The King of the Bakersfield Sound!